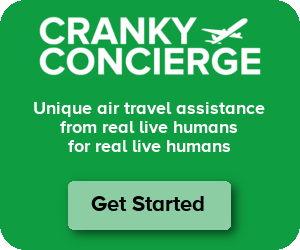 If you have any questions, please contact Brett at cf@crankyflier.com. Listings cost $25 per year. To avoid a conflict of interest, airline and airport links are included without charge. My Cottage Holiday – The independent holiday cottage review web site for the UK and Ireland where owners can list there cottages for free and holidaymakers can leave reviews for holiday cottages, good, bad or just something useful to help fellow guests! China Tours.com – China Tours provides private, group and tailor made tours throughout China.